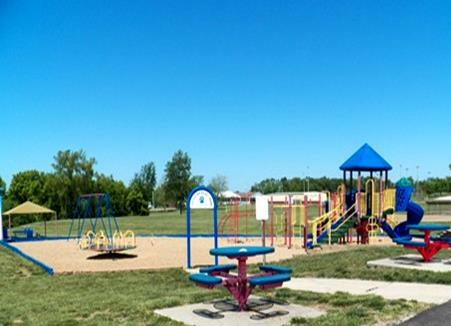 On behalf of the Park Board and Parks & Recreation Department, THANK YOU for your support of the Parks Sales Tax extension for the future operations and growth of our Parks & Recreation facilities in Harrisonville! Although it will be some time before the funds are available, planning will begin soon so that we are prepared and ready to go when the time comes. We will keep you updated and informed on our process going forward. Thank you again for your support! Parks & Recreation have been historically sound financial stewards of tax supported facilities. In order to continue to operate an outstanding system of parks and facilities, ongoing stewardship, repairs, maintenance and improvements are necessary. With the continuation of the existing 1/4 cent sales tax for Parks, will apply the revenue to capital development, maintenance and improvements to parks and recreation facilities & services. No, this is NOT a new tax. There will be no increase in the amount of sales tax you currently pay. This is a continuation of the existing 1/4 cent sales tax for parks that was approved in 2001. The referendum, if approved by voters, would extend this designated tax beyond 2022 to support current parks operations and to fund future development projects. What are the advantages of a sales tax? It is a funding source paid by everyone, not just local property owners. Visitors contribute towards projects that improve the quality of life for everyone. What did the Parks Department do with sales tax funds already collected? These funds have been used to pay the Community Center bond payment and to fund current operations & maintenance. When would the extension of the existing 1/4 cent sales tax begin and how much would be collected? If approved by voters, the extension would begin Jan. 1, 2023 with conservative estimates placing collections from the full 1/2 cent tax at $900,000 annually with approximately $250,000 available each year for capital projects throughout the parks system.